Has anyone had issues with their HomePod unable to access Apple Music. Yesterday and today I get invalid account password in my Home App and the HomePod can’t connect to Apple Music. When I re-enter the password it goes away for a while and then comes back. I have not changed the password recently. I wonder if it has to do with the redesign. 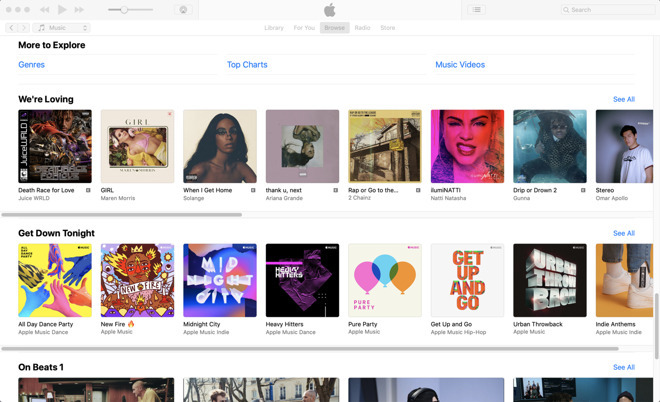 At this point, iTunes should be a little more customizable for both the Store and Apple Music subscribers. When I go to Browse, I have to deal with stuff I have no interest in -- why not have preferences where the landing page on Browse is set to show me new releases from the genres I go to most, or choose in preferences? I wonder what percentage of AI readers subscribe to Apple Music? I don't how bout you? Perhaps. I've been having similar issues since March 3rd where HomePod would disconnect overnight and fail first thing in the morning with the message "Some accessories can not access your Apple Music account" shown in the Home app. I tried every combination of logging off and logging back on, removing the device from the Home app, and resetting the device. No matter what I did, the next day the problem would reoccur. Opened a support call with Apple and they could find nothing wrong on their end and sent me off to the Apple Store and the Genius Bar. In uncharacteristic fashion the Genius Bar was clueless about what to do. They don't seem to have any special diagnostic procedures for the HomePod and kind of just stared at it like it was a gray alien corpse found in the Area 51 desert. After some verbal armwrestling they agreed to replace the unit. Got the replacement unit a couple of days ago and so far it's staying connected. Fingers crossed. The old one worked perfectly for over a year and it was in pristine condition with a strong WiFi connection. It sits across the room from an Echo Show and the Echo (which is also connected to my Apple Music) had no issues whatsoever over the same time frame so perhaps it was something in the hardware. Time will tell. With the added TV/Movie service coming, the clutter of iTunes is only going to get worse. 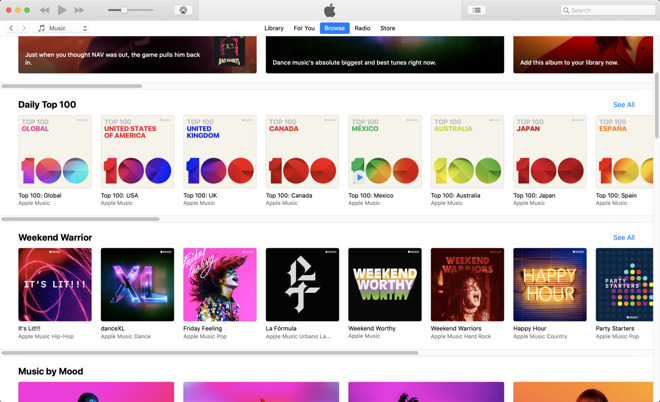 I wish Apple would rethink the GUI of iTunes on both the OS and iOS. I find people are constantly confused by the differences between Library, For You, Browse, Radio and Store. They don't really ever know where they are and what that means in reference to their options and the functions. They think the Store and Apple Music are the same. "Browse" what does that mean? So vague. Browsing what? I often get asked, "Isn't my Library the same as Apple Music?" I understand their confusion when they see songs they have downloaded from Apple Music in their library. They really need to simplify the whole ecosystem in a way that doesn't remove features and make it like IKEA instructions where it is too simple nobody can understand it. Or they just need to break it up into separate apps. They could have a streaming app that allows the user to see and access their personal music library from within the streaming app, but it is clearly distinguishable as a separate library. I love Apple. But not everything from Apple. The two things I hate most are the Apple mouse and iTunes. I don't think I need to explain why. I do, household subscription. Relevance? Mine is has not reliably responded to “Hey Siri” for the last few days as well, but no issues with Apple Music. One of mine said my account password was wrong. Had to re-enter and then fine. I have one recurring issue, however, using airplay to the one in my bedroom. Almost always says airplay was unsuccessful but the wifi connection is clearly fine as it plays from Apple Music and Siri fine.